The Fire TV Recast is a good first effort for an over-the-air DVR. However, it has some user experience challenges and will only appeal to a minority of consumers. The Fire TV Recast is available for $179.99 in Cyber Monday sales this week. It could be a good a deal for those looking to add over-the-air television to their video diets. We tried out the four-tuner 1TB version and found it performed well, though it has many rough edges in the user interface. Setting up the Recast is relatively simple, assuming you have an antenna and Fire TV already set up and working. Simply attach the antenna to the Recast and plug it into the power. 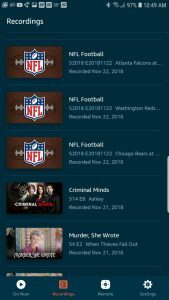 The Fire TV app on an Android or iOS phone guides you through the set up of the device, including the discovery of all the channels available in your area. Using the Recast from a Fire TV takes a little getting used to. Selecting DVR from the menu allows a user to access the TV guide, watch live TV, and set and watch recordings. Confusingly, no recordings or live shows are available in the “TV Shows” or “Movies” menu items. One handy feature is that new recordings show up on the home screen for quick access. Trick play features such as fast-forward and pause work well. 30-second skip is accessible by holding the right side of the navigation ring on the Fire TV remote. Playback quality is good, as you would expect from over-the-air broadcasts. However, when skipping forward, I noticed much pixelation when playback resumed. The picture returned to normal within a second or so. 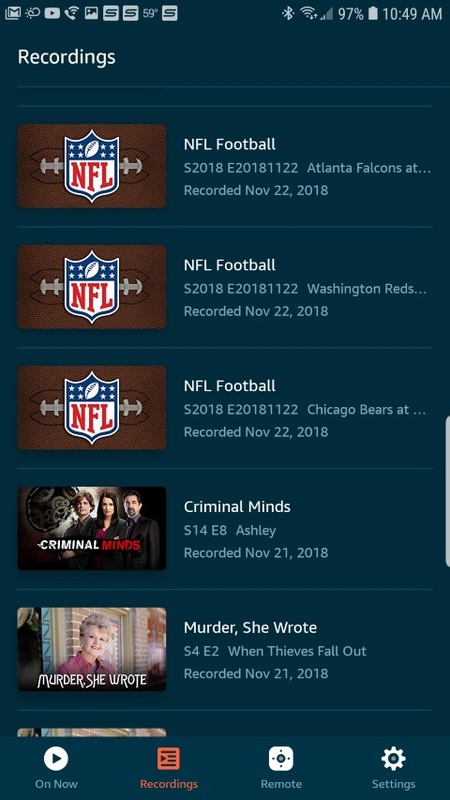 Using the Fire TV app to watch live and recorded shows on my phone worked well in-home. Outside the home, the picture quality was poor. Also, there is not a full guide available in the mobile app making searching for something to watch in the future impossible. I could also use the voice remote to tune to specific channels. However, when I tried to search for live TV shows the results were a confusing mess. I searched for “CBS News” and Recast suggested I subscribe to CBS All Access. There was no option to tune to the local CBS affiliate or record upcoming CBS News programs. When I searched for Babylon 5, a show playing live on a local channel, Recast’s only viewing option was through Prime Video. Other voice searches worked well, however. For example, when I searched for Murder She Wrote I could access live shows on TV and DVR recordings of the show. On the face of it, there is quite a large market for the Fire TV Recast. Nielsen says 13% of U.S. television homes use antenna TV. 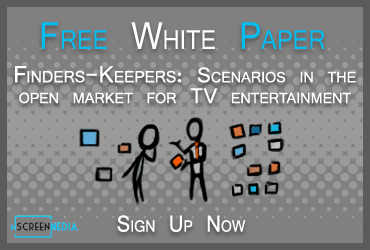 A further 6% rely on broadband and might be interested in a live TV product to augment their streaming services. That gives Amazon a potential market of 25 million homes. The biggest sticking point will be setting up an antenna. For those relatively close to a transmission tower, an indoor antenna should work well. For those further afield, an outdoor antenna will give a much better performance. For a generation raised on the immediacy and convenience of streaming, fiddling with an antenna to get good performance could be a deal breaker — particularly when they can just signup for YouTube TV for $40 a month and get their local channels instantly. YouTube TV includes unlimited storage and no tuner limitations. Finally, there are better deals out there if a user is prepared to go the antenna route. The best deal is the Channel Master Stream+ based on Google’s Android TV. The 2-tuner device costs $99.99 (or $178 with a 1 TB hard drive) in Cyber Monday sales, and there is no subscription required. There are also good deals from TiVo and Sling TV Air TV player. The Amazon Fire TV Recast is a good first attempt at a DVR. It works well though the user experience needs work, particularly in the area of search. Recast is best for Amazon Prime Members that already own a Fire TV device. For everyone else, there are other cheaper options that may work as well.